I’m a firm believer of following your passions and then working to make them a career. It’s one of the reasons I’m a photographer. I just love making pictures. I also love flying airplanes. And while I don’t really consider myself an aviation photographer, I am an aviation writer for magazines, and over the years, I have usually insisted on doing all the photos that run with my own stories unless the scale of the project would have me spread too thin to fly, write and shoot. Every now and then however, I do make aviation pix for others, like those I have running in the April 2017 issue of Flying magazine. For this story, about the process my friend, and Flying Executive Editor, Pia Bergqvist went through to paint her airplane, I was happy to step in and help illustrate her story. 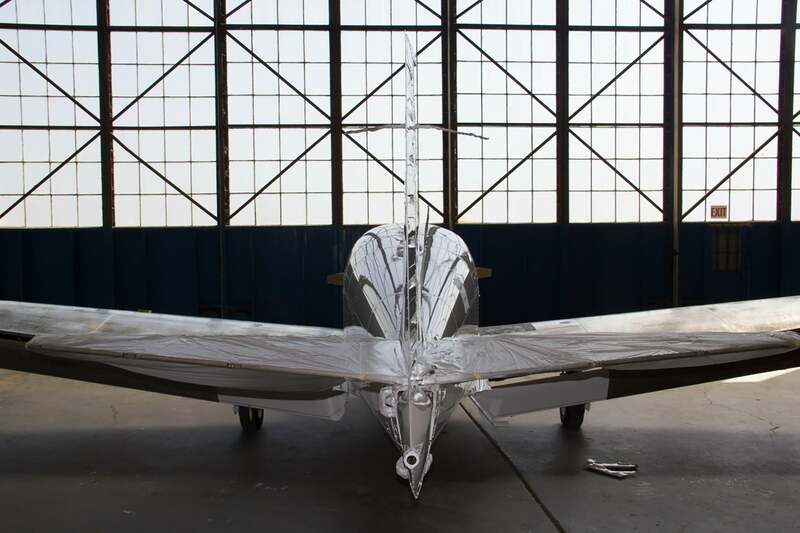 Pia’s airplane was in the paint shop for a few weeks and when it came out, her vintage 1970s airplane had a glossy, period-style paint job. Since Pia isn’t a professional photographer, she asked if I would like to fly up to the paint shop with her in central California and take the “after” photos for the magazine. Earlier she had taken a few “process” photos as paint was going on. 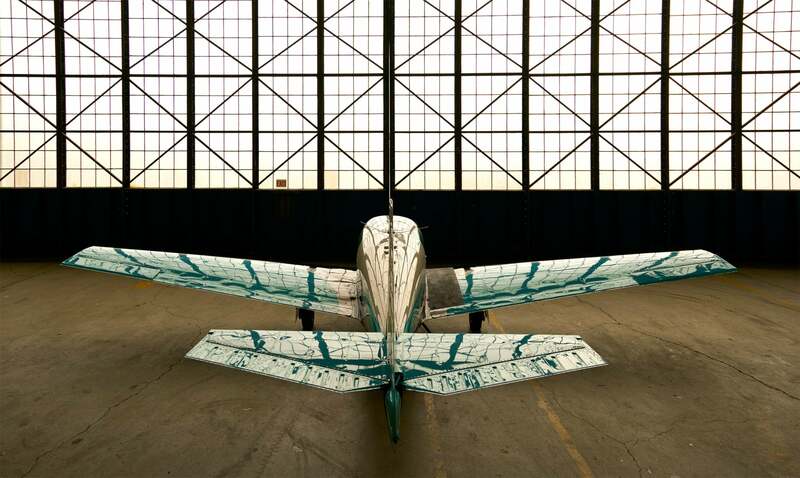 One of those “before” images can be seen here, of the airplane inside the hangar backlit against a fabulous hangar door. I would love to make this hangar my daylight studio, but alas, it’s on an airport nowhere near anywhere it would make sense to have a studio. Nevertheless, this hangar was the perfect location for me to shoot my final images of the airplane for the magazine. So referencing Pia’s inspo image, which the magazine’s art director also loved, and after a bit of elbow grease making her new paint shine (you think this is easy? ), we lined up her airplane squarely with the center of the wide doors. I clicked my Sony FE 16-35 F4 lens onto my α7R II, climbed a ladder, set my camera to Aperture Priority and lined up my shot. This is where having an EVF to compose my image really paid off. Years ago, when I was learning how to fly an airplane with an instrument panel of computer displays instead of round gauges, especially during the first few hours I found myself constantly looking over to the few round mechanical backup gauges that were still in the panel. Since flying with a glass cockpit was so new, my eye craved what was familiar and these round dials were exactly that. Quite shortly thereafter, I acclimated to the glass cockpit and never looked back. Same thing with the EVF in my Sony alpha cameras. Though shooting with an EVF might have been a bit different at first, once my eye acclimated, I haven’t craved an optical viewfinder since. And so as I stood there on the ladder (I’m a pilot but not a fan of heights, go figure), I snapped my photo knowing that what I was seeing in my viewfinder, in my frame, was exactly what was being burned to my SD card. There’s peace of mind in that.